Limited edition cover by Apple’s chief design officer, Jony Ive (left) and more traditional newstand cover by Leonie Bos (right). Apple’s chief design officer Jony Ive is something of a legend in Silicon Valley. He’s the man whose golden touch is credited with the iconic designs of some of Apple’s most successful products, like the iPhone, iPod, and iMac. But while Ive is very good at designing cutting-edge technology, it seems that he cannot do the same for a magazine cover. 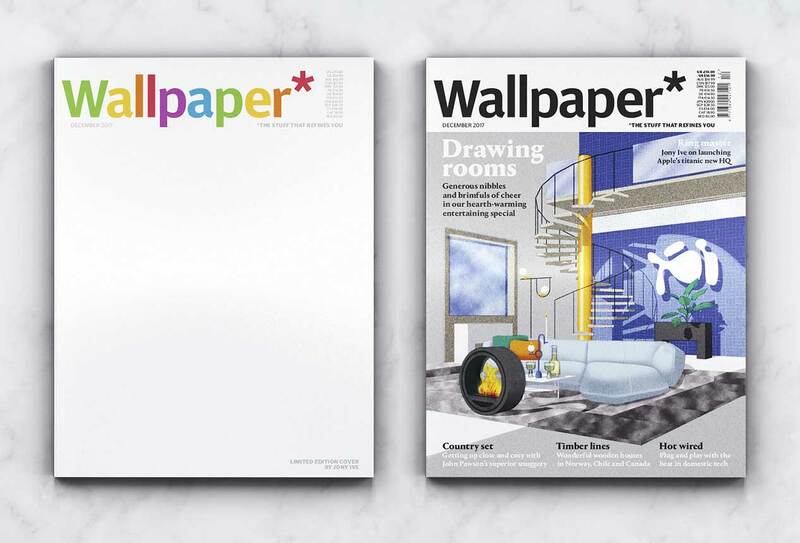 I mean this in the literal sense: when presented the opportunity to design a “limited edition” cover for Wallpaper magazine, Ive seems to have drawn a blank. In the case of Ive’s magazine cover — an object that is supposed to perform the very basic task of informing you what it contains to read — the only conclusion I can draw based on Ive’s design is that his ideal magazine is one with no content at all. Yes, one “basic task” of a cover on a newsstand is to inform a prospective reader about a magazine’s content. But this is a limited edition cover that is only sent to subscribers. In this case, the cover can be more (or less depending how you look at it). In other words, it can be avant garde without much risk. Subscribers are already invested in the product and will read it even if the cover doesn’t draw them in. On the flip side, being completely different and “wrong” has drawn a lot of attention from the blogosphere and this free advertising will help increase sales, which is another basic task of the cover.